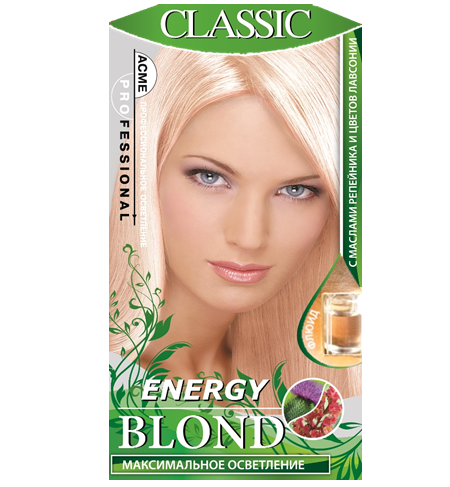 "Energy Blond" balsam – conditioner is specifically designed for hair after lightening to neutralize "the yellow hair effect." Components of the balsam promote closing of the hair scales after application of brightening agents, prevent tangling, electrification, and the purple component eliminates unwanted yellowish tints, which often occur after lightening. Fluid of burdock and henna oils – an oil complex penetrates into the hair structure, restores, strengthens, and provides extra care. 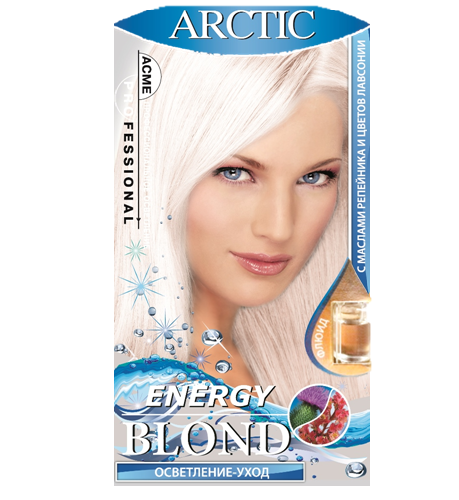 It renders shine, smoothness and radiance to the bleached hair. nourishes and strengthens the hair roots, moisturizes and restores the structure. Renders shine, healthy look and beauty.